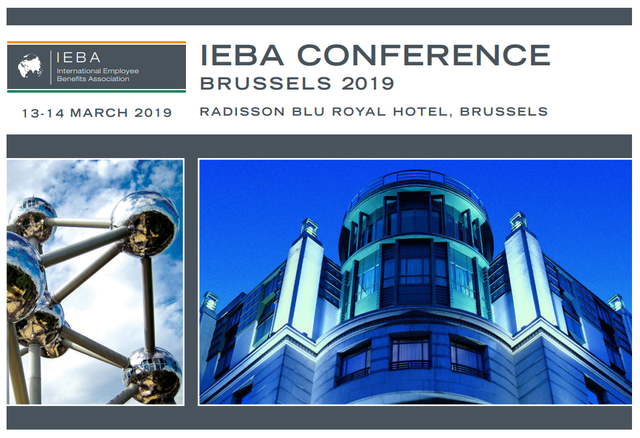 #IEBA19, hosted in Brussels last month, was memorable for all the right reasons: more delegates than ever before (in fact, a larger venue is required for 2020 to accommodate everyone), a practical balance of providers and corporate ‘people managers’, and the healthy representation of senior industry stalwarts, diversified with a hierarchy of benefit professionals. Dr Alan Watkins delivered the keynote address and started by examining the physiological barriers to a successful outcome of any ‘call to action’. He reaffirmed that performance is influenced by feelings, which are driven by emotions (yes, feelings and emotions are different altogether). Emotions, as it turns out, are the output data of our physiological state. A live demonstration ensued, teaching delegates how to control the physiological state under stress. A Heart Rate Variability (HRV) monitor was attached to a volunteer, and we all watched as the shaky heart rate trail tracked across display screens. It then spiked when she experienced deliberate duress. A great deal of technical know-how was used to illustrate a straightforward control measure: Rhythmic Breathing. We watched with wonder as the volunteer’s rhythmic breathing smoothed a shaky HRV trail into healthy curves, which represent the ideal physiological state to enable the brain’s clearest thinking. Next time a well-meaning colleague suggests you ‘take a few deep breaths’ to calm the nerves or make a big decision, instead adopt rhythmic breathing for optimum results. The Gala Dinner, sponsored by Generali Employee Benefits, was at the beautiful Chateau St. Anne, situated on the edge of the Sonian Forest (perhaps most famous for hosting Treaty of Rome negotiations at Val Duchesse). The Chateau’s ethos is to provide a welcoming and friendly atmosphere where professionals may come together to talk without barriers of nationality. A suitable venue indeed for the plentiful networking opportunities afforded both during the formalities of dinner and during desserts served afterwards in the Victorian Bar. IEBA is fundamentally about promoting professional education and development. On the formal side, there are two formal qualifications: Diploma in International Employee Benefits, and, Certified Practitioner. On the more informal side, there are branch meetings and an annual conference for which the programme included a variety of consultant-client case study presentations. The conference consists of demonstrations of many best practices and various pitfalls of which to be aware when designing employee benefit solutions. Other programme highlights included a case study of what long-term (circa 100 years) corporate commitment to wellness as a culture looks like (included a measured financial gain) and conversations around Global Minimum Benefits: why would these be offered and how might they be quantified? The incoming IEBA Chairman, Norman Dreger, closed another successful conference and we look forward to continuing the conversations started at the event.